Welcome to another episode of Makers' Monday. I've been doing all kinds of 'making' this week, but I have been absolutely horrible about photographing any of my creations. In celebration of January being National Soup Month, I've been cooking up batch after batch of soup in my Instant Pot. Man, am I glad I splurged and bought myself one. Do you have one? Honestly, I don't know why I bought it. I had no idea what it did or why I needed one, I'd just seen an ad for it, probably on Facebook or someone's blog and I suddenly HAD to have one. Anyway, I bought one and have been 110% in love with it since the day I opened it. I got it back in September and with the exception of holiday gatherings, I can count the number of times we've eaten out on one hand since bringing the Instant Pot home. Now, instead of doing that "Darn! It's 6 p.m. and I forgot to thaw anything for dinner. Let's go out to eat" thing, I simply toss a frozen chunk of meat or a bag of dried beans into the Pot and 20 - 30 minutes later, Presto Magic! Dinner is ready! 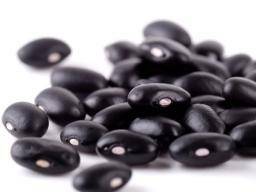 So, that was a very long winded way of saying I made black bean soup today. I got the hankering for it and off to the pantry I went. I tossed a bag of dried black beans, a bunch of celery, an onion, some garlic and a chicken bouillon cube into the pot. Next I added enough water to cover everything, set it for 20 minutes and went to the laundry room. I loaded the washing machine, turned it on and.... Yep! I was eating black bean soup before the washer even started it's rinse cycle! Damn, I love my Instant Pot! And no, I'm not an Instant Pot affiliate. I'm not affiliated in any way. I'm just 110% in love with my Pot. 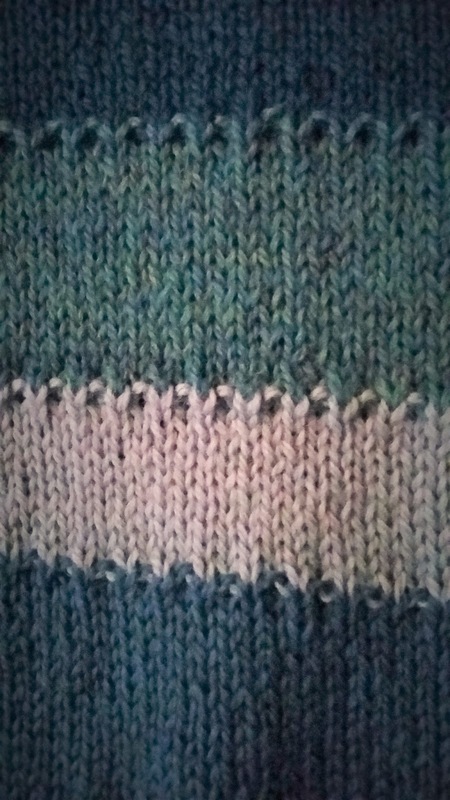 Something else I created recently was a cowl made out of the left over yarn from my Ocean Stripes shawl. Sorry. I know that photo is horrible. The natural light in our house during the winter is simply nonexistent. Despite the bad photography, I love the way the cowl turned out. 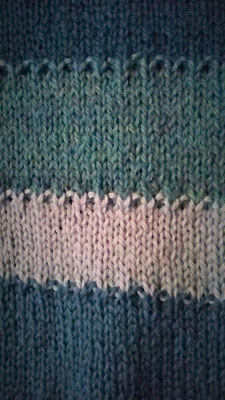 Each time I changed colors, I knit the first row in a *K1P1* pattern which produced those little blips of color. I've finished knitting several other things that I'd like to show you but I don't have photos yet. Have I mentioned that the light in my house is horrible? I should probably also mention that I've been a little busy binge watching Grey's Anatomy on Netflix. Good grief! With the amount of tears I've shed, I don't know why I'm not dehydrated, but somehow, I seem to have gained about 25 pounds from stress eating while I watch. Good grief! But enough about me. It's Makers' Monday. Tell me all about what you're making. I've been eying instant pots and slow cookers for a while now, but never tried it. I'm closer to buying one now (though I'd probably better wait until we know where we will be living the next few years). Love the way you changed colors on that cowl. Going to steal that idea someday (I'll try to remember to credit you). Right now I'm working on my third hat. Having fun with a more intrigate pattern this time. Moving - ugh! My husband keeps threatening it but I will stay in blissful denial until the for sale sign is planted in the yard. 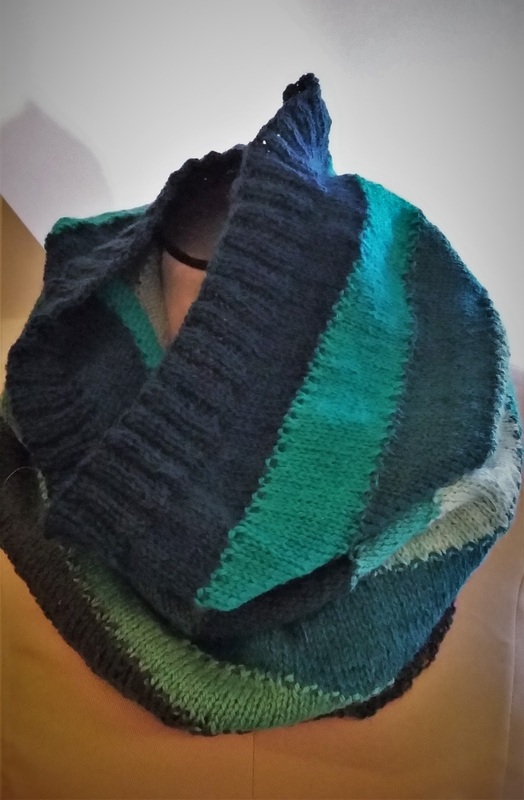 Hey - I saw where you made it onto a 100 top knitting blogs list. Congratulations! I did? Where? I didn't see that. Wow! I'm amending my reply. :) I should have read your blog post first. I'd be throwing my stuff into boxes like a mad woman if I was moving to the Caribbean! Just knitting away on afghan squares, so boring, but it won't get done if I don't forge ahead! Nothing wrong with afghan squares! 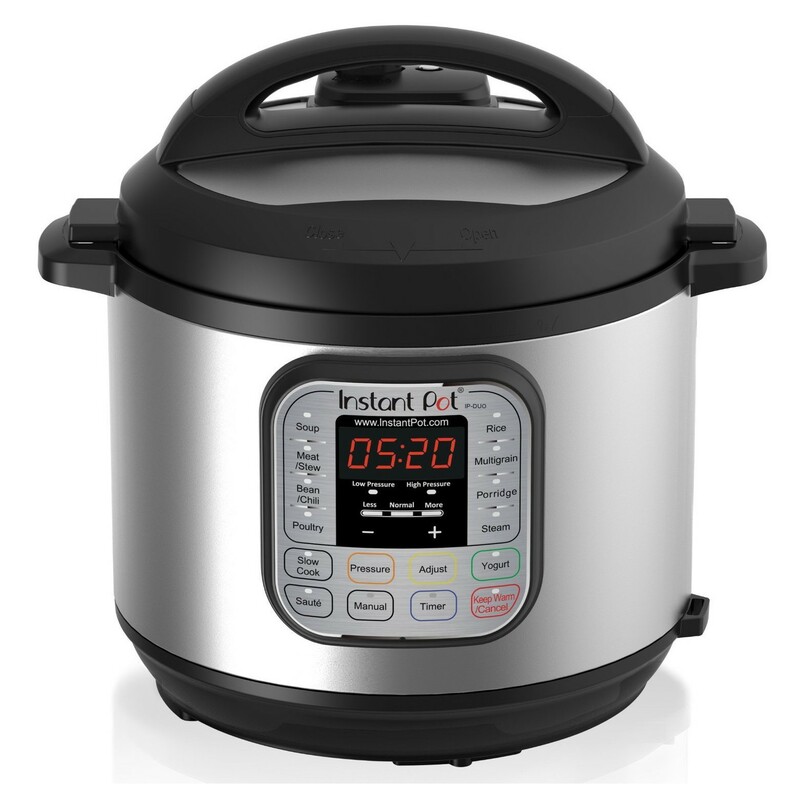 I'm guessing an Instant Pot is like a pressure cooker? I'm still plugging away on my Solar socks. I had a little set back today, but now I'm making forward progress again. The Instant Pot is everything! Pressure cooker, slow cooker, rice maker, yogurt maker & sauce pan all rolled into one. Glad your socks are coming along. That cowl is gorgeous. I tried to find an Insta Pot for my husband at Christmas but could not find them anywhere. It was to late to order online. I finally found a pressure cooker/crock pt/rice cooker and he has made several soup and pulled pork, which I hear was delicious but I won't eat it so can't say for sure. Enjoy.